Osteoarthritis of the foot and ankle is the leading cause of disability in the United States. This joint pain can occur at any point in life, but the risk increases with age. There is no cure for arthritis, but The Center for Podiatric Care and Sports Medicine in New York has a number of treatments to help make life more manageable and fulfilling — often without surgery. Will you need to visit us to receive these treatments in the future? 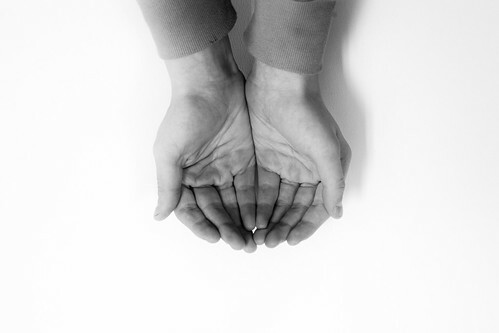 A new study suggests that the answer may be as simple as examining your hands. What does the length of your fingers say about your health? Researchers have all sorts of ideas. A study of more than 2,000 arthritis sufferers found that people with ring fingers longer than their index fingers had double the risk of developing osteoarthritis. Women with the “type 3 finger pattern” were also found to have an earlier onset of menopause, which put them at greater risk for arthritis. Often, just one study suggested a predilection toward these trends. Finger length is far from a guarantee, of course! Nevertheless, we find these reports to be rather interesting. Nail health can also say a lot about your overall health. What Else Can Our Hands & Feet Tell Us? – Prostate Cancer: You’re a third less likely to develop prostate cancer if you have a long pointer finger. – Stroke: You are more likely to suffer a stroke if you have purple moon-like crescents at the base of your nails, rather than the usual white crescents. – Vitamin Deficiency: Flat, “spoon-like” toenails indicate a lack of B vitamins. Fraying nails indicate a lack of Vitamin C. You may be lacking zinc if there are white patches on your toenails. – Heart Problems: Bulging, purple veins can indicate vascular disease. In the past, gazing at the feet and hands was just as important in practice as the old “stick out your tongue and say ‘ah'” routine. Western Medicine has gotten away from examining the extremities for clues to a person’s overall health. However, your feet receive special consideration from our NY foot specialists. TENS therapy can help foot arthritis sufferers. Here at The Center for Podiatric Care and Sports Medicine in New York City, we offer cutting technology for the treatment of osteoarthritis. Some patients benefit from Transcutaneous Electrical Nerve Stimulation (TENS) therapy, a painless procedure that delivers low-grade electromagnetic pulses to painful areas in the body to release natural endorphins (like acupuncture without the needles). Similarly, we offer Extracorporeal Pulse Activation Therapy (EPAT), another non-invasive, FDA-cleared treatment that sends pressure waves into the foot and ankle to enhance circulation and stimulate the body’s natural repair activities. Cortisone injections are also available to relieve acute pain. Many patients are surprised at the impact affordable home remedies can have on their day-to-day pain levels. Icing, braces, elevation, and anti-inflammatory medication are often recommended. Our physical therapists are happy to explore exercise routines to improve mobility with you. Book an appointment with a NY podiatrist here. » Sandal Weather Is on the Way- Looking for Laser Nail Fungus Removal In New York?